Even though it was released months ago, the Essie Wedding collection is still available in many stores, so I don't feel too bad about not getting around to swatching it until now. It's a nice manageable group of four colors: No Baggage Please, Meet Me at the Altar, My Better Half, and Using My Maiden Name. No Baggage Please is the most traditionally bridal of the group; it's a creamy pink with a subtle white/silver shimmer. This was just a touch streaky, nothing unusual for this sort of pale shade. I used three coats for this swatch, no topcoat. 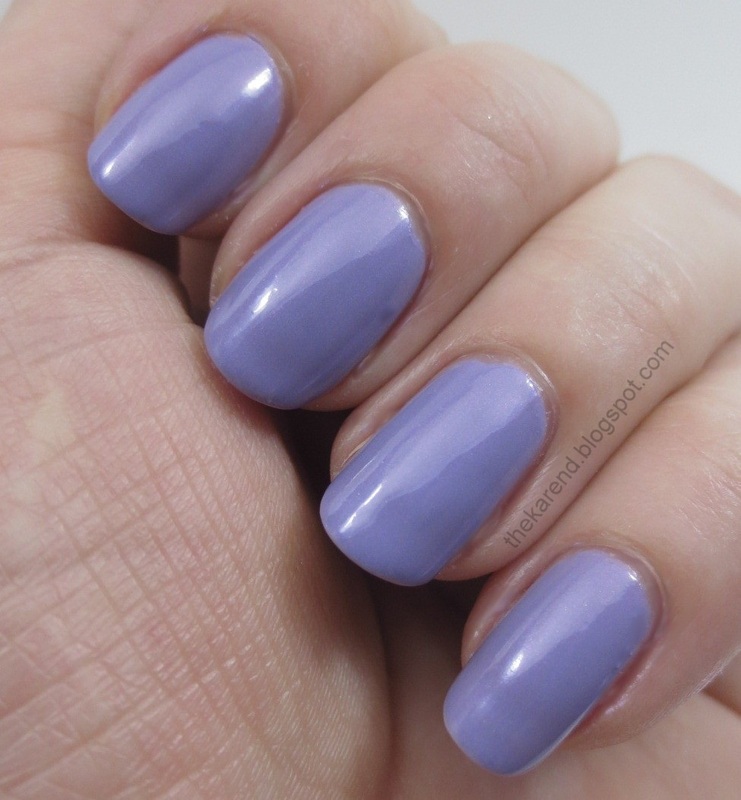 Meet Me at the Altar has the same sort of shimmer but its base color is a delicate warm pastel purple. I used three coats of this as well. My Better Half is a soft magenta shimmer. The shimmer here is finer and denser than the first two polishes and give more of a pearlescent look. I used three coats, but I probably could have stopped at two. Using My Maiden Name is a blue leaning medium violet with pink shimmer, similar in finish to My Better Half. I used two coats of this for the swatch. For a bridal collection, this has a nice variety. Yes, there are a couple of the pastels we'd expect, but the two brighter hues are less traditional. 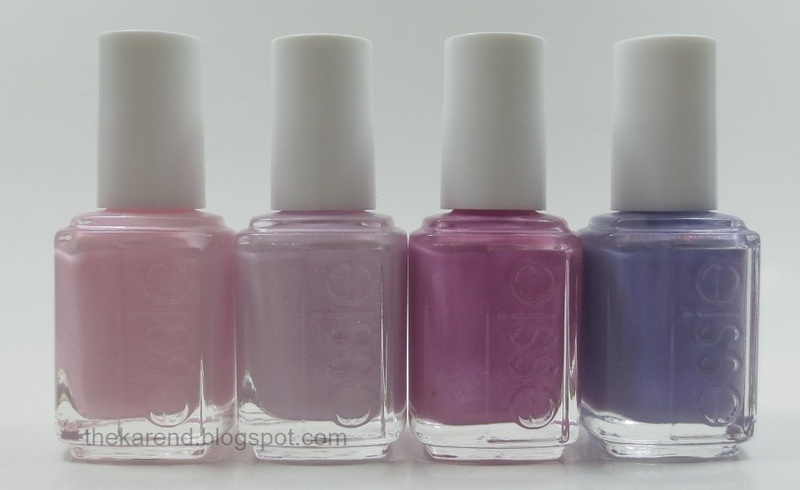 There's no blue or green like Essie has given us the past couple years, so that's a bit disappointing for an offbeat color lover like me but it is a wedding collection so that's understandable. I did comparisons with all four of these but those are going to have to wait for my next entry, as I had a lunch meeting today and that took up the time slot when I tend to do much of my blog post writing. That's okay; it's meetings and my other work that make it possible for me to buy the polish I write about. None of these are making me jump up and down. I think they need more shimmer! I like these, they're so delicate a pretty. The lighter two are a little too bland for me, but I love the darker two! They are indeed very soft and delicate - great swatches as always! I quite like these, especially purple-blue...it's a shame that these pale shades don't apply easier!